The kids were all around today, so we took the opportunity to visit Shenk's Ferry Wildflower Preserve. As you look at the photos I took as we walked (and oh did I ever miss the drifts of bluebells, the squirrel corn, the dutchman's breeches, and a tiny bright yellow bloom that I'm certain is related to the other Dicentras), know that many are fighting to save this from being defiled by a high pressure pipeline that will not in any way benefit our area, or probably even the U.S. It's hard to imagine taking this beauty so for granted. Acres and acres packed with so many lovely and valuable wildflowers and herbs ... this is important. The trip there was also filled with vistas of these gorgeous plants, although not as many in one place. Tons of blue cohosh growing with bluebells and spring beauty all around. The color is off on this, but these are blue phlox, and they are baby blue. Part of a huge patch of VA bluebells. We missed most (but not all) of the Dutchman's Breeches. These are seedpods. 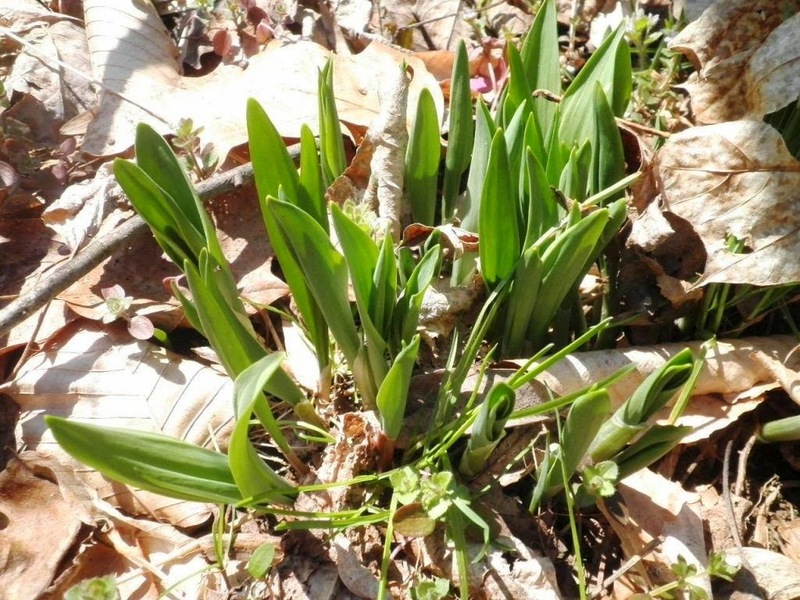 False Solomon's Seal - at home it is barely out of the ground, but 30 minutes south it is ready to bloom. Hepatica - I don't know whether we missed the flowers or it didn't bloom yet, but the flowers are lovely. Ragwort grows all along the creek running along the bottom of the gorge 50 or so feet below. Solomon's seal also way ahead of the stuff in our woods at home. Star of Jerusalem grows in large patches. The trillium and bluebells went on for acres. Close-up of the nodding trillium. Wild columbine grows on the rock walls leading in. It's the only place I've ever seen it. Wild geranium is just beginning to bloom. In a few days it will be breathtaking. Spring beauty beside yellow violet. There was also some putty root, lots and lots of wild ginger, a beautiful little white spray of flowers springing from a tiny rosette, wild bergamot, mayapple, and so much more. The kids loved it and it was beautiful enough that Maryanne and I walked far longer than we'd normally do voluntarily. I'm so glad we got there this year. I hope it is still there next year. A Dilly of a Weekend! Several months ago, our friend Debbie Stiffler-Zugates asked if we'd be interested in coming to help the Indiana County Herb Study Group that she helped found celebrate 30 years. Lately we've been doing less and less scooting around the countryside, but this was different. We couldn't resist! So after the PA Herb Fest the previous week, we didn't bother to unpack, and just headed out on Friday morning. 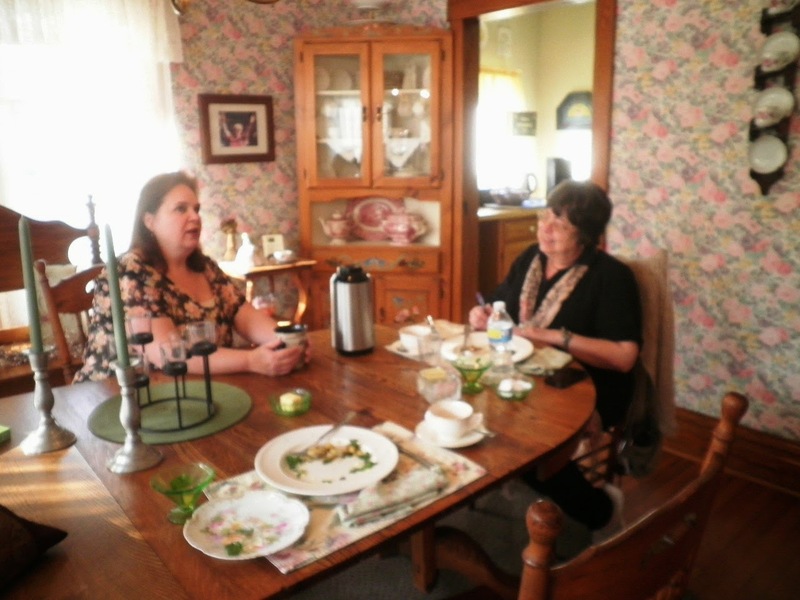 We stayed at the beautiful Dillweed Bed & Breakfast, hosted by Kyra and Corey Gilmore. 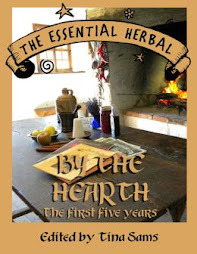 There is a Dillweed Herb Festival in June, and I will be posting information at the end of this entry. 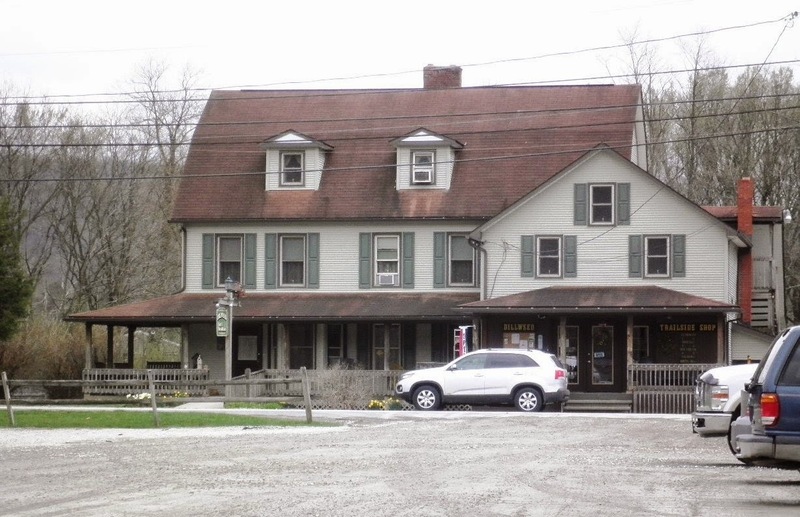 The B&B is right next to a trail that was once a railway, and it passes through towns that were once bustling coal or steel towns that are now ghost towns and may now be not much more than a few foundations in the woods. 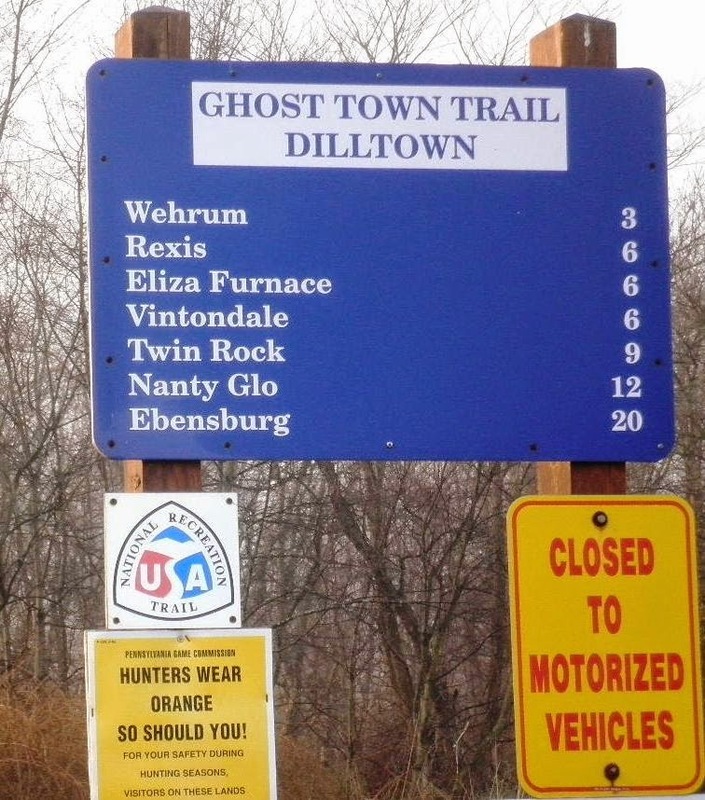 That's why they call it the Ghost Town Trail (and we were relieved to hear the explanation). We wandered a short way in both directions on the trail. We wandered the gardens in back of the house. 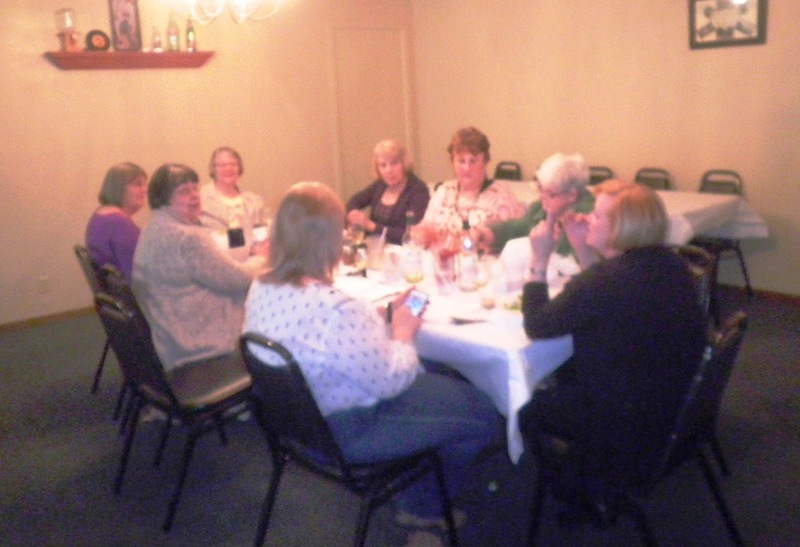 Friday evening we had dinner with several of the Study Group members at a little restaurant in Blairsville. Delicious and a very nice time. Then we went back to the B&B to sit on the side porch and listen to the Spring peepers. Saturday morning Kyra served us a scrumptious breakfast with just the right amount of herbs sprinkled in. 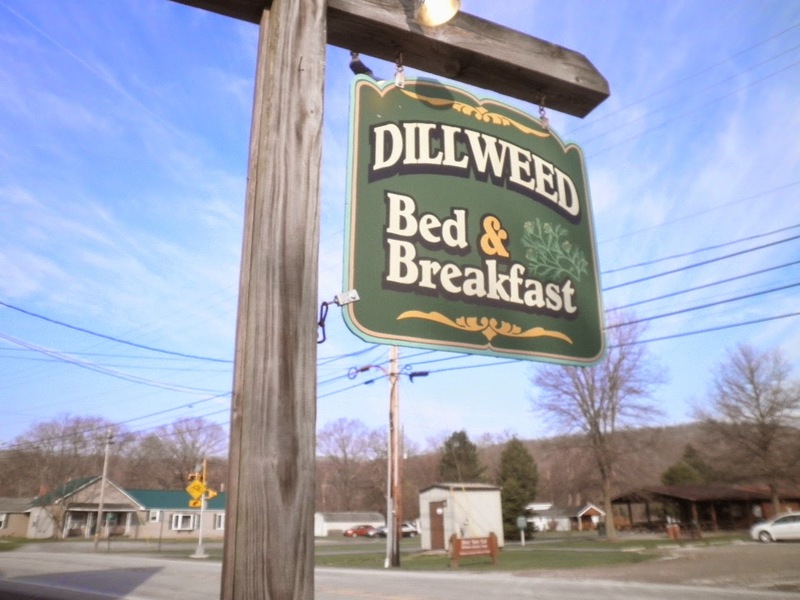 The whole stay at Dillweed was so comfortable and homey. We really enjoyed it. I do wish we'd taken the time to visit the gift and antique shop on the one side of the building, as I'm certain it holds treasures galore. We drove over to The Rustic Lodge in Indiana PA to set up a table with our offerings, and get ourselves prepared to give a talk before lunch. As the club members began to arrive, they shopped, and shopped, and shopped! Eventually everyone arrived, and after we posed for a couple news photogs, we hit the lectern. That hour flew, and they practically had to get the hook out (as I'd warned) to end the talk so that lunch could be served. We ate, talked with the new friends at our table, and listened to a bit about the history of this vibrant and large herb study group. This area is really pretty mountainous and rural, so to have 50 people show up was pretty amazing. Not only did they show up, they were enthusiastic, engaged, and fun to be around. After another round of shopping, the crowd thinned out and it was time to pack up to go home. I'm skipping over the part where the GPS couldn't find Dilltown. And the part where I realized that heights and cliffs and windy roads have gotten scarier than when I was young. The beautiful vistas were thrilling last time I was there (nearly 40 years ago), Apparently I need to get out more... I'm also excluding the part where we were lost in Indiana and Kyra had to talk Maryanne to the lodge. Stupid GPS! It was a beautiful weekend, and we enjoyed it. 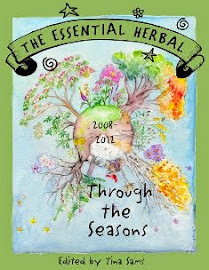 Here's the info on the Herb Festival, just in case you're anywhere near western PA. They draw a couple thousand people and have lots of great vendors and speakers, so it's worth a drive. Get ready for Dillweed’s annual Pick-A-Dilly Herb Faire! 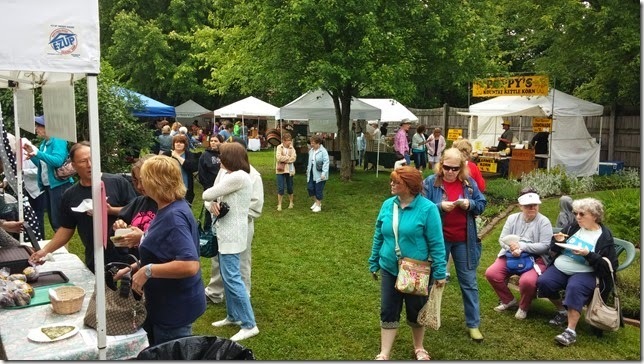 The Dillweed Bed & Breakfast in Dilltown is pleased to announce the 17th Annual Pick-A-Dilly Herb Faire, scheduled for Saturday, June 14th, from 9am to 4pm. Admission is free and open to the public. The one day event is co-sponsored by The Herb Study Group of Indiana County. The herb festival has grown in popularity over the past years, attracting hundreds of visitors to the quiet village of Dilltown. The event is a great way to spend the day visiting area growers that feature a large variety of flowering plants, HERBS and perennials - all in one location! Food offerings will not be in short supply this year as Dillweed welcomes Gert’s Concession featuring stadium sandwiches, cheese steaks, fresh cut fries, cheese fries and cold beverages. And once again the bed & breakfast will provide its’ fresh, sizzling hot Pesto Pizza by the slice! Enjoy a unique selection of artisans selling country crafts, handmade beeswax products, hand carved wood items for the home, all natural gourmet herb vinegars, spice blends & dipping oils, lavender sugar, and herb bean soups. Returning artisans include original botanical artwork, herb teas, hand poured soap products, jewelry, and other garden inspired specialties. The hillside across the creek is covered with white bloodroot flowers, but on the near side they are just beginning to open. We crossed over to visit the Dutchman's Breeches. These were introduced several years ago. In spite of frequent visits by herons, the pond is full of fish. Bleeding Hearts are just starting to break out of the soil. 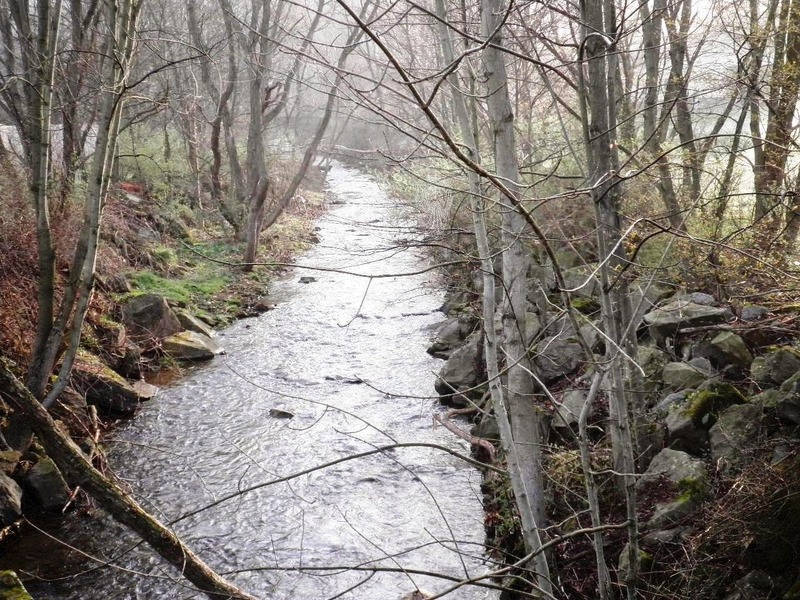 A shallow section of the creek with lots of shale and stepping stones. 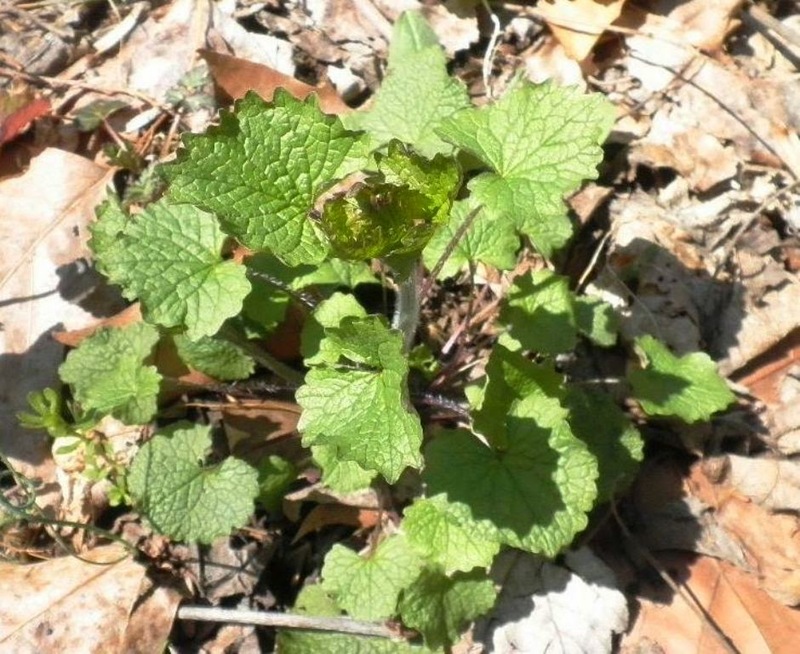 Garlic mustard - if you aren't sure, crush a leaf and take a whiff. Eat this stuff! Glossy wild ginger. The fuzzy stuff is further down the path. Both were introduced. 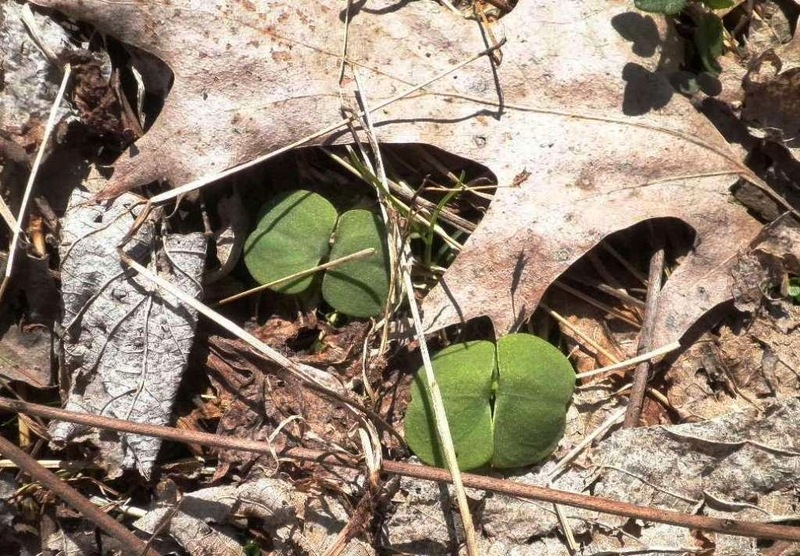 Infant jewelweed. Soon enough there will be a waist high (swampy) meadow, filled with it. At first I thought this was a volunteer valerian. 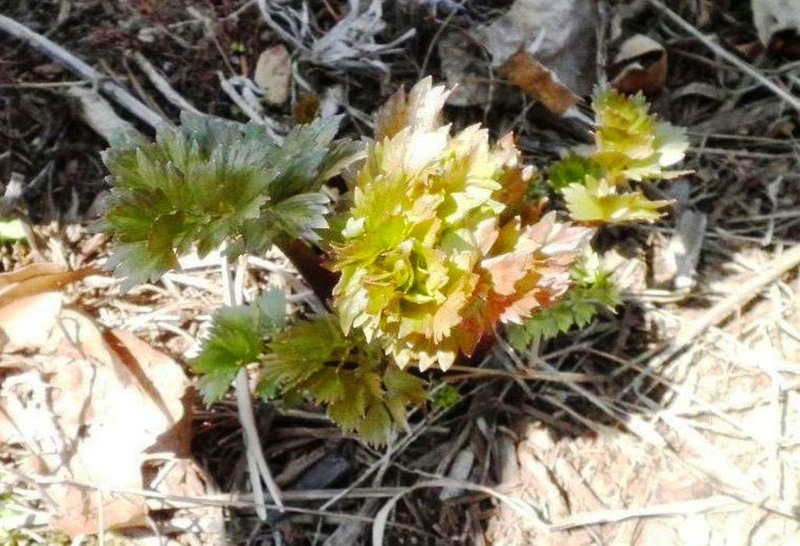 Smelled it, and it is lovage that Molly planted last year. 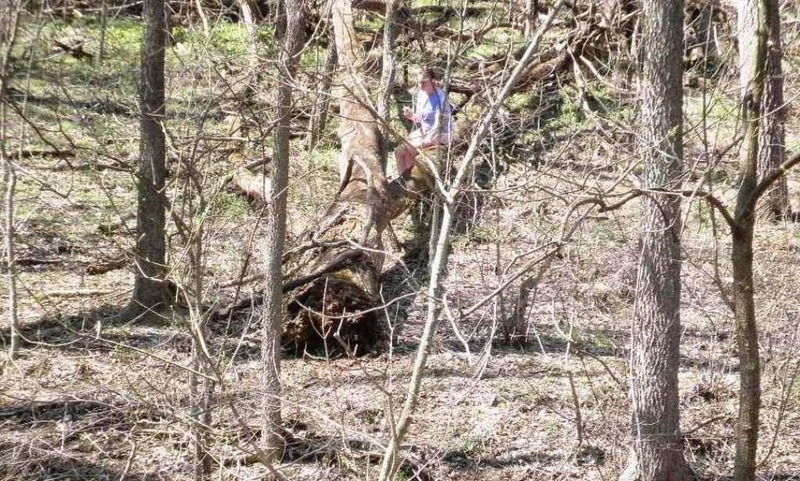 Miss Molly out on a limb. Ramps spreading well on both sides of the creek. Also introduced. 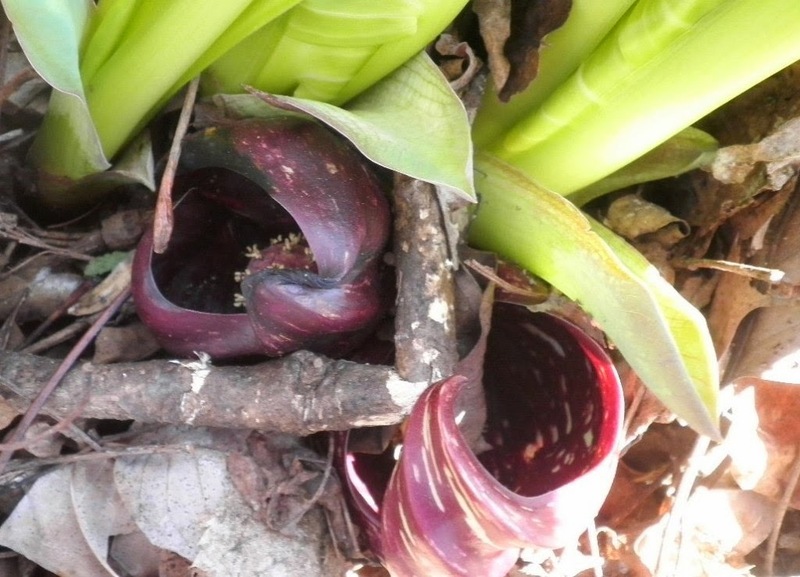 Skunk cabbage. This is really a lovely plant. We don't have too much - just enough. 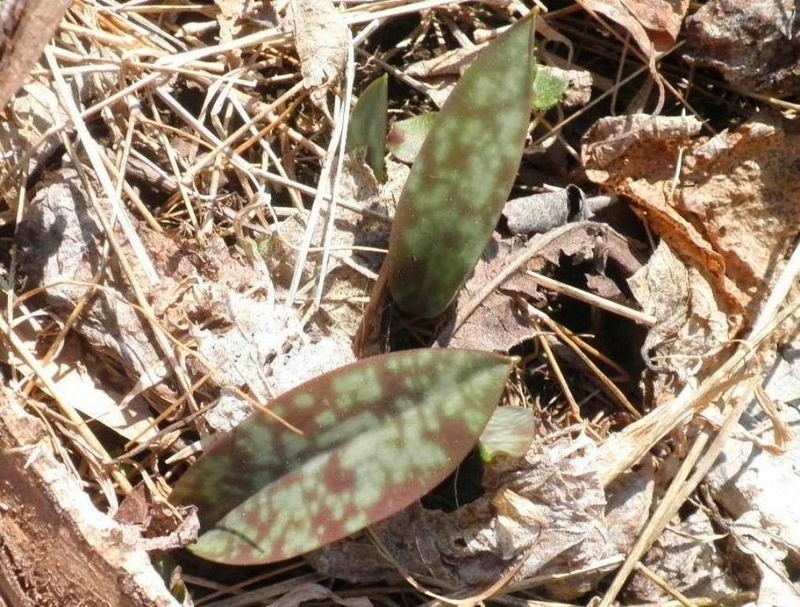 Trout lily foliage. 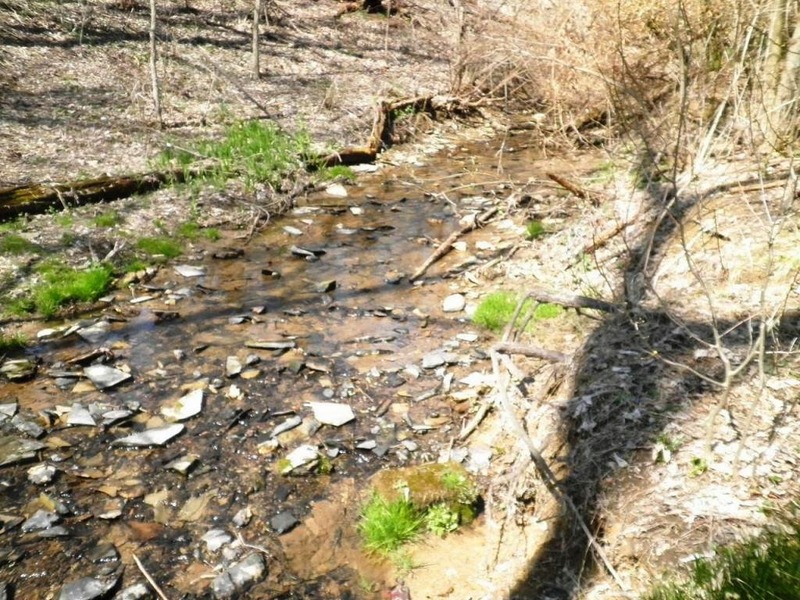 They cover the ground, especially on the other side of the creek. Another week or so til bloom. Before sharing the cover and table of contents, I have a little story. It may be my age has something to do with my amazement. You be the judge. The business end of the magazine is all family. My sister Maryanne does the lay-out and her son Rob has very kindly taken the website management off my shoulders. Both of these tasks used to be mine. Both of them brought me to tears each issue. Rob is a software engineer, so taking care of the website for me is a huge favor. Sort of like asking a brain surgeon to check out your athlete's foot. Yesterday I bundled up all the information for the update of this issue in an email, not realizing that he was at a conference in Montreal. I did realize however that he's in the process of moving from NYC to Boston, and told him that any time he could get around to it in the next few days would be great. His reply was something like: The conference here is wrapping up, so if the wifi at the airport is decent I can probably do it from there. It was done a few hours later. I should note that the website is separate from the shopping cart, so there was no security issue. Anyway, I thought that was pretty cool. We aren't tethered to location much anymore, that's for sure! Okay, on to this issue. Thanks for indulging me. 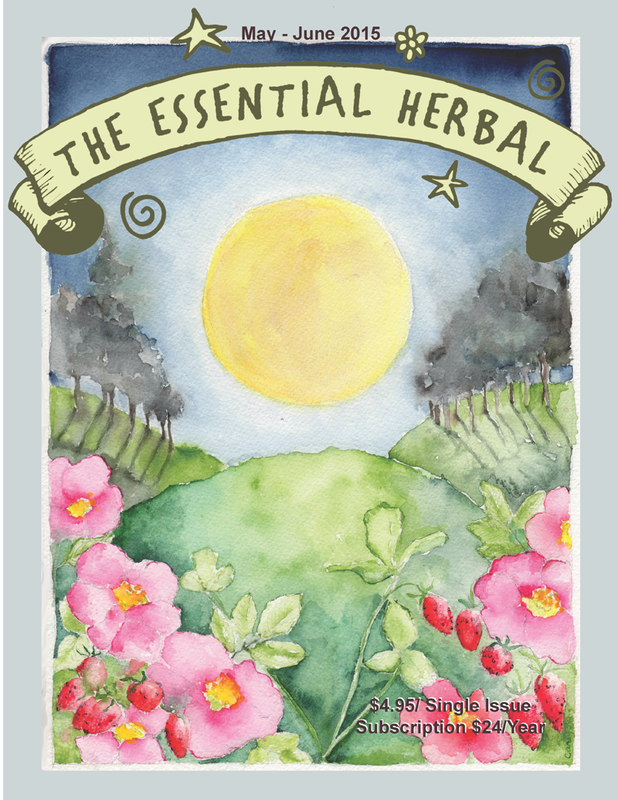 The stunning cover by Carey Jung depicts the strawberry rose moon rising above a scene of early summer perfection. The articles inside are just as delicious as the cover. 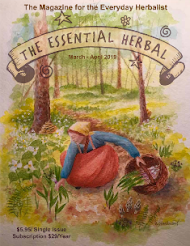 Putting this issue together made it very hard to wait for the plants that are just now starting to spring forth from the earth (since we started about a month ago). I know you're going to love them. Validation isn’t always needed, but it sure is nice. Safety info and a quick overview on a dozen great oils. Native medicine teaching will make you liok at the strawberry a little differently. 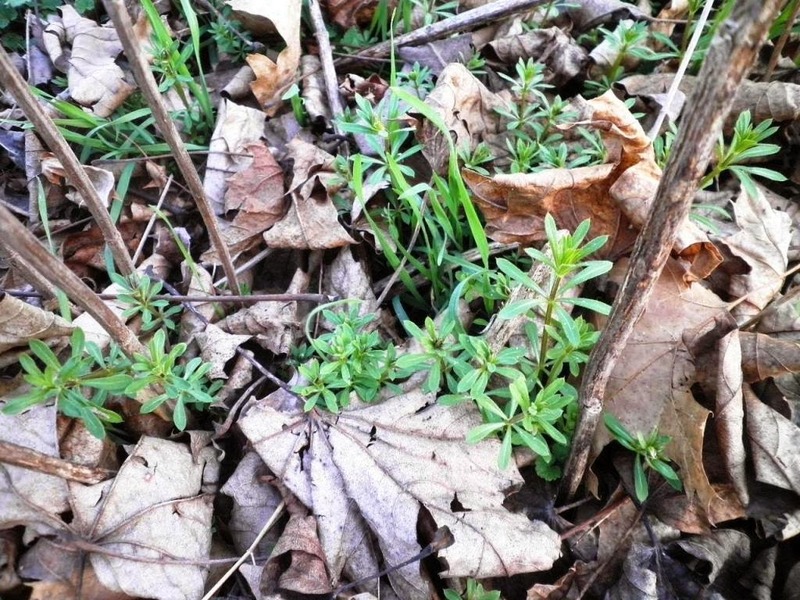 Unassuming, but oh-so-valuable, find out what this weed can do. 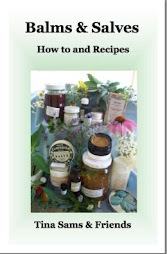 Great information on working with lots of butters and creating luscious skin soothers. Learn to love these sunny little helpers. Almost everywhere at this time of year, Kristine gives us tons of ways to utilize them. Susanna’s series on fairy artists highlights a prolific illustrator. What are hydrosols and why you should know about them, use them, care for them, and love them. Are nettles growing near you? Get to know them, fresh or dried! Test your knowledge with this fun quiz. Some favorite wildlings to keep an eye out for in late spring and early summer. Love in a Mist, stunning in the garden and useful in the home. Mmmm! Lemon Verbena is the scent of summer for some, and it is spectacular in body care products. A bar shampoo to try. A look back at old-time liniments and some recipes to try. These are as useful today as they ever were. Part 3 “Your Cheatin’ Heart” takes up where the previous articles on the Lymph and Circulatory systems left off. 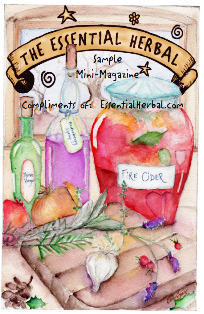 There is a sample magazine available for download there (or you can find one or two along the sidebar of the blog). TEH is a print magazine, but we also have pdf subscriptions available, as well as a combination of print and pdf at a nice discount. Print is available only in the US and Canada. It seemed fitting to see what has returned on this gorgeous morning. Rebirth, renewal, and rejoicing all awaited my eyes that searched for a glimpse of what is to come. Chickweed is everywhere and the tiny white blooms are bursting out to make sure that there will be more. The chive patch is just getting started. Walking close to it, I could smell - but not see - the peppermint. 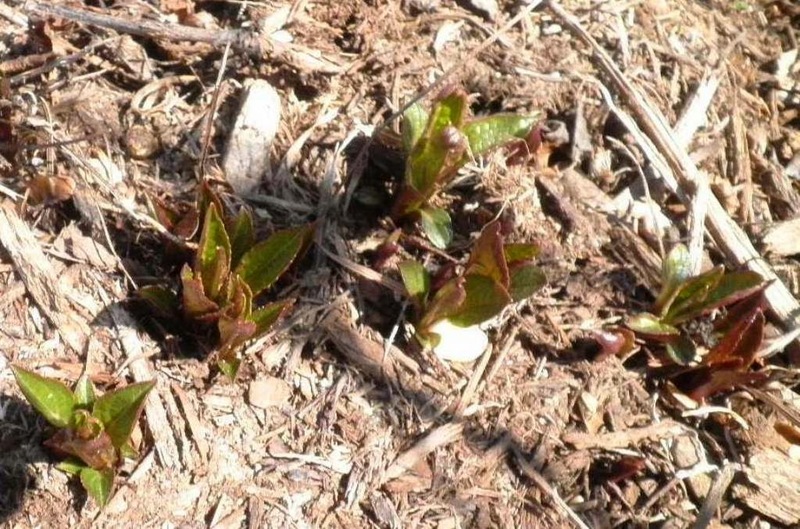 The very first, very tiny leaves of comfrey rising out of the dried leaves of last year. Hard to believe that this will soon be a huge plant with leaves over a foot long. Mom's buttery yellow crocuses welcome those who come to the kitchen door. Just last week, there was no sign of life on any of the gooseberries. Looking good now! I'm still waiting for the red currants to sprout leaves, but the black currants are budding up nicely. Horehound - for the first time, this plant all but died back for the winter. It usually stays pretty lively throughout and I worried that it was gone, but it is bouncing back to life. 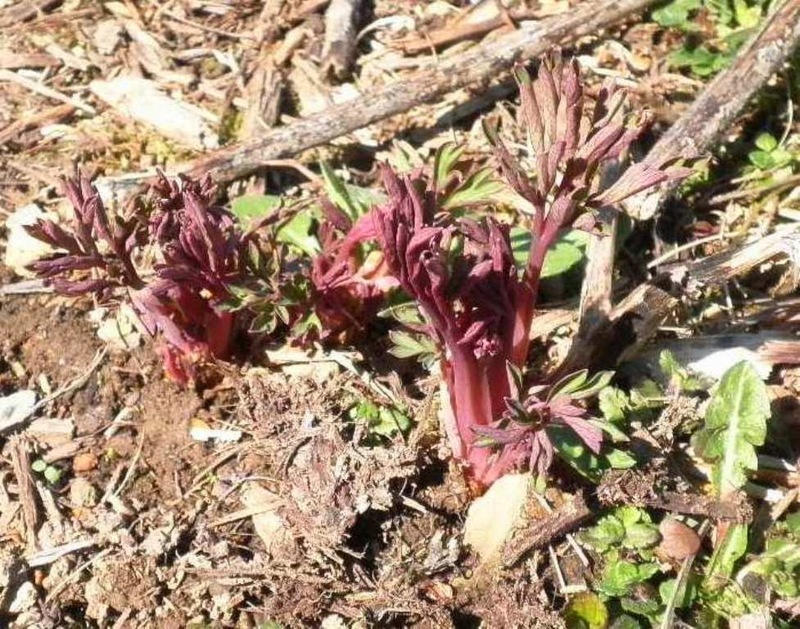 The St John's wort had green leaves all winter long. It is nestled under a big echinacea plant. They'll probably fight it out for space this summer, but there is plenty of both, so that's okay. 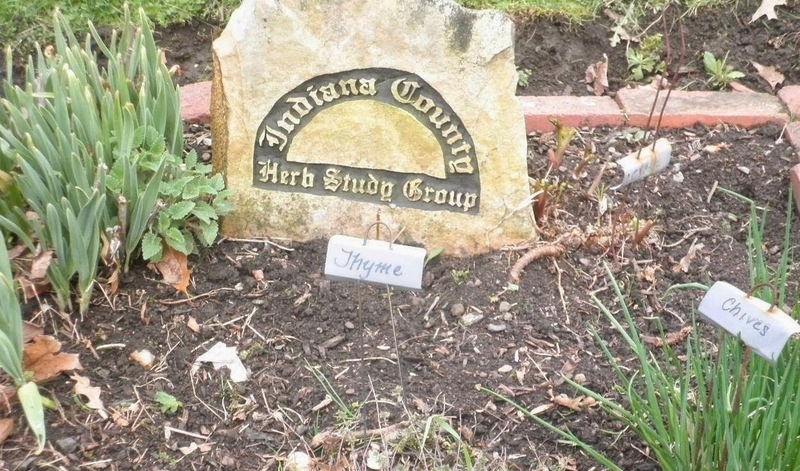 I can never get a decent picture of the thyme. It covers quite a large area and spreads further every year. The valerian is waking up. 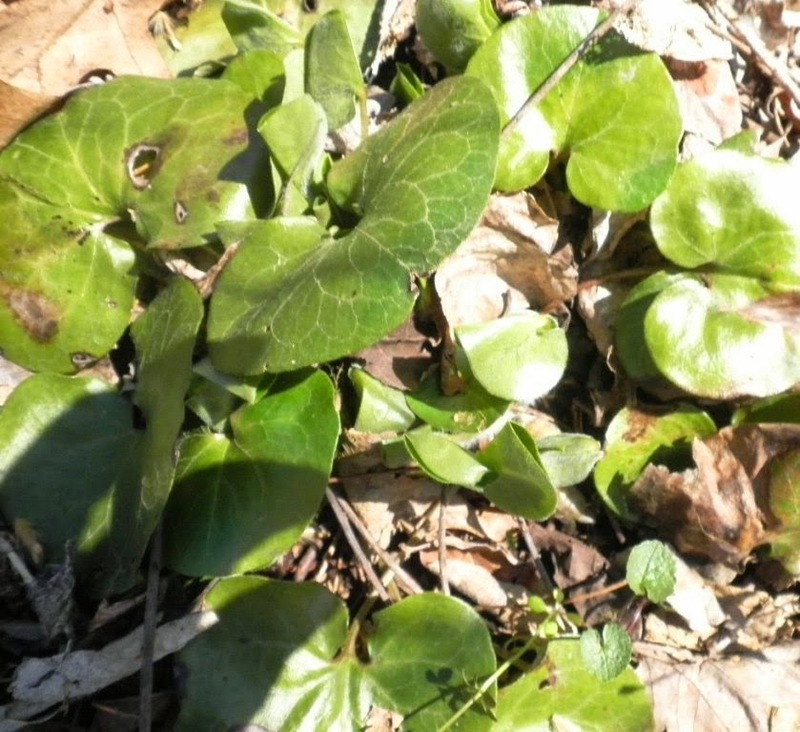 To the left, you can see some ground ivy and some chickweed. A sweet surprise! Several scilla bulbs that I planted a few years ago sent up tiny flowers along the back of the garden. It must have been a good year for bulbs, because the hyacinth beside the porch that has been a LONE hyacinth for 7 years divided itself into 7 this year. I can see the spikes forming at the center of the leaves, too! Soon our family will gather around the table. 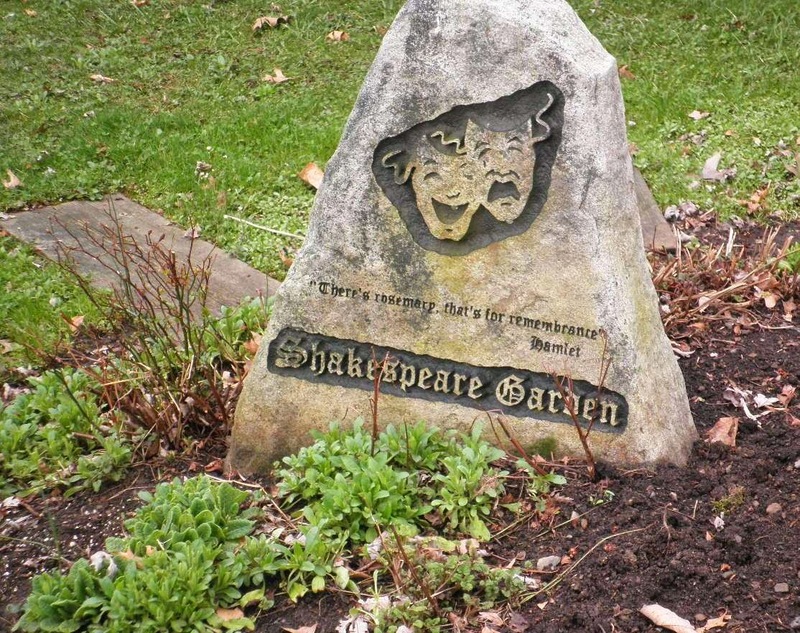 There will be lots of laughter and story-telling before some will depart for the trip back to their far-away home. The moments in the garden this morning, quiet except for the wind and the birds, brought the joy of spring to me. Breaking Hibernation - Here Comes Spring!